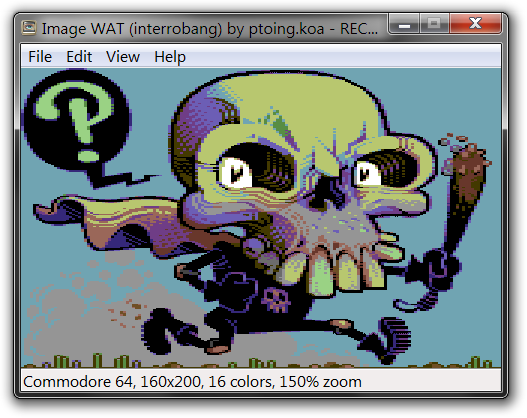 RECOIL (Retro Computer Image Library) is an open source image viewer and image format decoder. It mainly supports formats used on old home computer systems: Atari, Commodore 64, ZX Spectrum, etc. It was originally named FAIL (First Atari Image Library), and was renamed to RECOIL around 2013-12. This page was last modified on 20 July 2018, at 16:17.